The famed Island of the Gods. What to do there? The island of Bali is home to a population of 4 million people, with majority being Balinese Hindus surrounding the island. Also known as Island of the Gods, Bali is every traveller’s dream destination. Bali is rich with majestic nature, beaches, lagoon, paddy fields and temples - making it a romantic paradise for lovers as well as a fun-filled destination for families and friends. Island hopping is must thing to do when you are already in Bali. A few islands you should visit are Lembongan Island, Ceningan Island, Gili Island and you should also consider making a trip to mysterious neighbour island, Lombok. If you an adrenaline junkie, hop yourself to Nusa Penida to dive with friendly manta rays in Manta Point. Best thing is you can feed them too! Nusa Penida consist of other 3 points to visit such as Toyopaka, Buyug and Malibu Point. If nature can impress you, they can impress you with Bali famous natural pool namely, Angel’s Billabong pool. Located as well in Nusa Penida, this nature pool is special due to its emerald hues and crystalline waters. For less intense water activities, Bali is also famous for snorkeling and diving. Some popular spots for these activities are located in Geger Beach, Amed Beach and Tulamben Beach. Bali is also a frequent island for surfers from all over the world due to its countless surfing spots with unique waves. Some of these spots are Suluban Beach or Blue Point, Uluwatu Beach or Single Fin, Padang Padang Beach regularly host international surfing event by Rip Curl, Bingin Beach which is an hour away from Kuta and Echo Beach in Canggu. Outdoor exploration and nature activities are also aplenty here. Want to go for a hike? Try and look up the trails to Mount Agung or Mount Batur. These are active volcanoes mountain. Do prior research to avoid disappointment if your trip solely for hiking as it might be dangerous. Go crazy with Bali’s beautiful and serene waterfalls at Gitgit Waterfall, Banyumala Twin Waterfall and Nungnung Waterfall. Those high rise waterfalls are certainly worthwhile to be included in your itinerary and arrange for a quick picnic or if you have more time, trek up the top tier of these waterfalls. Bali is also well known for its Javanese cultural arts. There are available classes and workshops you can join to create your own masterpiece by learning from the local experienced instructors. Some example of classes offered here are Batik workshops in Ubud, perfume making in Jimbaran, Balinese cuisine cooking classes in Seminyak, silversmith classes, pottery and you can even take up spa courses that are held around Bali if you intend to open one in your homeland. These classes are affordable and it’s definitely worth to pursue. For nightlife and party-goers, head to central Kuta for the bars and nightclubs in Legian or try out another higher class hotspot in Seminyak. Once you’re here in Bali, don’t forget to try the seafood! They are delicious, freshly cooked and you can order any dishes. Go for a food-hunting seafood trip to Jimbaran, Sanur and Seminyak as these places have the best to offer to fill your seafood lust. Some of these places even offer you to dine by the beach, it’s a romantic experience as you enjoy the mouthwatering seafood accompanied by sounds of the ocean or sometimes, the buskers performing your favourite song! What to see there? Explore the temples and its amazing details. The island of Bali is surrounded with plenty of hundred-year-old temples as the main worshippers here are Hindu. Most of the temples will require you to wear an appropriate clothing or use the cloth provided to cover your outfit before you enter. For the love of culture, Balinese host weekly spiritual dance and you can go check out for reasonable price ticket. The most popular one is Kecak Dance, a traditional fire dance held in Uluwatu Temple and also other parts of the island. The show starts right before sunset and it guarantees viewers a dramatic experience. Visit the spiritual Tirta Empul, a holy mountain spring located in Manukaya Village in Central Bali. It receives countless number of people who visits for a ritual purifying bath. Have you ever walked on a huge pond filled with fishes? If not, you should check out Tirta Gangga. Here, you can walk on the pond with fishes crossing just right below your feet. The view is also breathtaking from a glance as this water temple looks like it is floating. Due to its unique geographical shape, the island makes an ideal getaway as it is home to plenty of nature sights such as majestic mountains, waterfall and clear water beaches. Witness the iconic paddy fields in Tegalalang Rice Terrace and Jatiluwih Green Land in Southern-end Bali. You can also enjoy your holiday with spectacular lushful forest views from the high-end villas in Ubud at affordable rates. This is also another reason why Bali makes a romantic getaway for you and your partner. It is definitely a must to discover Bali’s beautiful beaches. You can find options from crowded, lively beaches such as Kuta Beach and Double Six in Seminyak, as well as many other secluded beaches like Melasti Beach near Tanah Lot which offers more privacy. The island is definitely treasured with hidden gems! To try the surfing lessons, go to Seminyak Beach or Echo Beach. Or enjoy a unique ‘Eat Pray Love’ moment as the movie starred by Julia Roberts, head to Padang Padang Beach and enjoy the scenic view. The best time to visit is early morning after sunrise where you can see this beach dazzles stunningly. If you are looking for more privacy and an uninterrupted visit, check out the Karma Beach. This beach is also suitable for snorkelling and other water activities. Bring some extra cash? Bali is a great place to shop for souvenirs, gifts, or even new clothes and items for yourself. The prices are cheap and you can negotiate with the friendly sellers if you buy more. However, do not be unreasonable with your offers. Bring yourself to Seminyak for a fashionable shopping spot along Sunset Road, get cheap souvenirs at Legian Road, visit outlets like Krisna Oleh-Oleh to get local souvenirs or the many Ubud traditional art markets to find vintage goods to bring home and remember your Bali trip. Where to eat? Ibu Oka, Warung Babi Guling In Ubud, Warung Babi Guling Pak Malen In Kuta, Bebek Bengil Dirty Duck Diner in Ubud, Bebek Tepi Sawah Restaurant in Ubud, Jimbaran Seafood Cafes in Jimbaran, Jimbaran Bay Seafood Club in Kuta, Kampoeng Bali in Jimbaran, Bale Udang in Kuta, Selingsing Cepaka, Dapur Bunda in Ubud, Warung Mak Beng in Sanur, Kafe Watan Baru in Kuta. Peak season is from July to August and from end of year holiday season to new year. The best time to visit bali is from April to June or on September just after the high season. Wherever you are in Bali, it is always easier and cheaper getting around by renting a motorcycle or scooter. If you are alone, try opting for public transportation such as the ‘Ojek’ or motorcycle taxi. Uber or Grab application is not widely accepted here. You will probably get into a situation where your driver will ask you to walk a little bit further from your booking spot especially at the airport and hotels. Those drivers don’t want any trouble with local taxis. Hari Nyepi happen annually in the month of March. This 6-day event has no specific date each year and you need to Google in advance. This so called Days of Silence is where everything will be standstill in respect to sacred Hindu prayer. If you here during this days to witness the ceremony, please ensure you plan for no outside activities. Road will be empty with no vehicles, every shop will be closed and there will be no incoming and outgoing flights at the local airport. Bali has an active volcanic mountain, Mount Agung. Make sure you do a proper research prior to booking your flights to avoid any delayed or cancelled flights. Canang Sari is one of the daily offerings that Balinese Hindus place everywhere to thank their God. You can see this little carafes of flowers by the roadside, at entrances and literally everywhere. Watch your step as you might offend them by stepping on it. To fully explore Bali attractions, spending here for at least 5 days and 4 nights would be enough. The famous tourist attractions are located far from one another and take up hours of journey to reach. Plan your trip arrangements wisely. 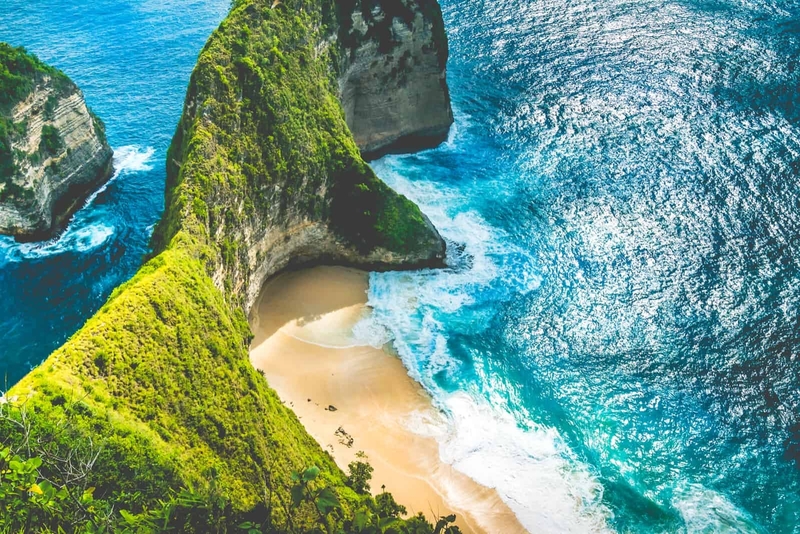 Every traveller’s paradise - Bali is all about majestic beaches, coral heaven, scenic rice terraces, volcanic mountains, detailed temples and cultural sights.